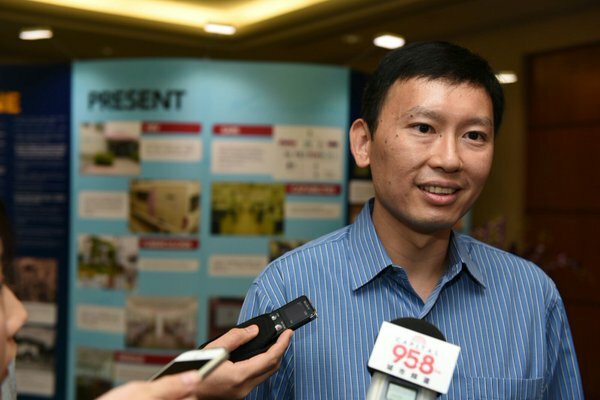 Commenters taunt the Minister of State for Health, Chee Hong Tat’s announcement that a “SWAT Team” of experts might be one way how Singapore fights outbreaks of infectious diseases. In the wake of the hepatitis C outbreak at the Singapore General Hospital (SGH) earlier this year, a task force was set-up recently to help the Government better respond to unusual infections. Mr Chee heads the task force as Chairman. Speaking at the launch of the SG50 commemorative book and video, Infectious Diseases and Singapore: Past, Present and Future, held at Tan Tock Seng Hospital, Mr Chee said that as it is not feasible for every healthcare facility to have a full-fledged infection control response team that can respond to complex and unusual outbreaks; and that his task force is considering setting up a national-level “Swat team”, comprising infectious disease experts who can be mobilised at short notice to respond to outbreaks in any healthcare institution here. Several people who responded to Mr Chee’s announcement on social media platforms thought that the term ‘SWAT team’ was unusual and funny. Raymond Koh: Maybe he wants to consider Charlie Angels instead. What a joke to use the term SWAT. Tan Jui Shien Ray: Does this guy even know what SWAT means?!!??!???!!! SWAT means Special Weapons And Tactics team. Biohazard Response Team would be better. Ryan Ong: So now Diseases are terrorist? Taking the term bioterrorism to the next level! Jojo Tan: SWAT – Slacking, Wasting tax payer $, Act blur and Talk only…..
Lim Meng Lee: Gourmet PRATA is having all kinds of ingredients and cheese on the dough. By the way, it’s called PIZZA. Prominent socio-political commentator and former senior fellow at the Institute of Southeast Asian Studies, Derek da Cunha said that it’s “hardly surprising that the term used is now being subjected to ridicule and mockery…”. For some, Mr Chee’s announcement could have brought back memories of his awkward clenched-fist gesture at the nomination centre during the last General Election.